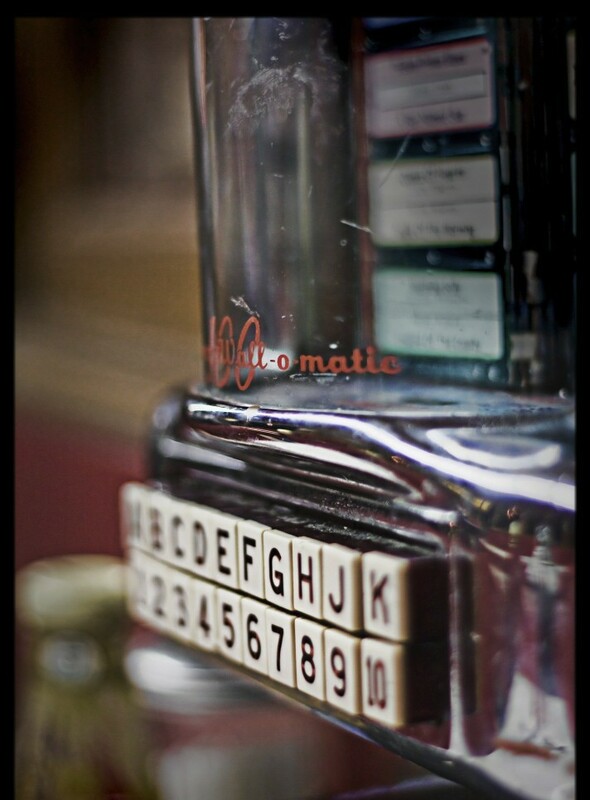 The Jukebox Muse – Page 2 – Read, listen, and muse. Publishing info: On sale July 15, 2014 from Random House! In a world where every character must have a deep flaw or painful childhood, where we overdramatize our personal lives on TV and on Facebook, I wondered whether to bother getting to know Augusta, the main character and narrator of Robin Black’s Life Drawing. As I acquainted myself with her in the first few chapters, I thought, “just another example of someone’s overly-hyped personal life.” After all, Augusta lost family members too early: her mother from a brain aneurysm when she was seven, her older sister to cancer, and finally her father as his memories succumbed to Alzheimer’s. Then Gus had an affair with a married man. She confessed to Owen, her husband. They moved to the countryside to focus on their work (painting and writing) and each other. But instead they stopped having meaningful conversations. A paragraph full of terrible memories and labels. Abandoned child. Unfaithful spouse. Widow. Unfortunately, tragedies like these appear everywhere and everyday until they lose their ability to affect the observer. Just yesterday I was watching The Good Wife, whose main character must also deal with a cheating spouse. Today, as I waited in line in Walgreens, I scanned the cover of People magazine, which seems to feature a new celebrity affair every week. How casually we treat life-changing events. So I ask again, why take precious time to understand how Augusta’s painful past has shaped her? Why bother? As Robin Black led me through Gus’s quiet daily life, I found it worth my while to bother. Much like John Steinbeck in Cannery Row, Robin Black paints a portrait of a single subject through past experiences. But instead of a small, quirky, run-down town, she fleshes out a human being, formed and hardened and stiffened by too many tragedies. Just like the title states, Life Drawing is a portrait of a human being. What makes Black’s portrayal different from all those melodramatic TV shows is her understanding of how to handle drama: Drama doesn’t stop being important after the front-page headlines, after the labels. Drama is necessary. It’s in all our lives. And it deserves self-reflection and acknowledgment. In the days leading up to my husband Owen’s death, he visited Alison’s house every afternoon. There it is. Tragedy in the first sentence. Though Black starts out with the broad brush strokes of one of the many tragedies in Gus’s life, she devotes the rest of the novel to Gus’s self-reflection. Like little dabs of a paintbrush giving blue depth to what would otherwise just be another white, fluffy cloud, Black develops Gus with the personal touches that slowly makes her particular blend of tragedies become more than everyday drama. Just as acquaintances become friends by spending time together, Black acquaints us with Gus on a day-by-day basis. We see her and Owen suffer through dinner without any meaningful conversation, struggle with her as she tries to branch out from landscapes and paint people only to erase them when they look lifeless. We live Gus’s life for what seems like several months until somewhere in the middle of Chapter Nine, Gus is more than an acquaintance. Subtly, Black attunes us to every fluctuation in Gus and Owen’s careful balance of resentful companionship. Another channel through which Gus verbalizes her self-reflection is Alison, the British, middle-aged neighbor. Alison embraces all of Gus’s past mistakes and broken trust with Owen, becoming a close friend. *Spoiler Alert* When Alison’s daughter, Nora, falls in love with Owen, *Spoiler Alert Over* all of Gus’s self-reflection finally crystallizes into her own, starkly painful, life drawing: it is finally clear that her present self cannot escape her past mistakes and tragedies. Life Drawing. The title has more than one meaning: this novel is Gus’s own life drawing, but Gus also deals with her own fear of painting life drawings. Throughout the novel, Gus works on a new project, painting portraits, of dead WWI soldiers in various rooms of her house as if they were alive. Yet she fears that she cannot do justice to these poor, dead, boys and literally paints around them, recreating her kitchen, her front porch, in perfect detail while leaving an empty space for a body. Like Gus’s struggle to paint people, Black’s novel is a struggle. She writes around Gus’s memories, writes of Gus’s strained country life, in the hopes of showing how our pasts will influence the rest of our lives. Through her thoughtful and thorough approach to Gus’s story, Black does justice to her deeply flawed character. Black’s life drawing is truly alive. Once upon a time, an angel and a devil fell in love. It didn’t end well. Published in: Dreams of Gods and Monsters was published in April 2014. The world that Laini Taylor builds in this series is very complex and very thorough. Much like The Hunger Games series, each book in the trilogy represents a different stage in the overall conflict: Daughter of Smoke and Bone introduces readers to Karou, an art student in Prague who lives with a family of chimaera (creatures made up of different animal parts, like, for example, a gryphon). She helps collect teeth for Brimstone, her chimaera father, but has no idea why he needs them. When she meets and falls in love with the angel Akiva, she discovers that she is part of a thousand-year war between angels and chimaera in the parallel world of Eretz. Days of Blood and Starlight deals with the aftermath of war and the process of organizing a rebellion. Karou, in discovering her past self, realizes that Akiva has betrayed her and her family. While Karou works, she deals with her desolation and slowly recovers, reacquainting her past self with her current self. Dreams of Gods and Monsters begins with a rebellion and ends by bursting the entire story wide open. Karou and Akiva discover a backstory to the backstory they thought they had figured out. The war between angels and chimaera, no longer contained in Eretz, collides with human history on Earth. Karou and Akiva achieve their main goal, to end war and tyranny, only to discover an even bigger threat to their newly acquired peace. You know what would be good now?” Zuzana whispered, when the sounds of spoons on plates had mostly quieted. “Chocolate. Never attempt an alliance without chocolate. Her heart started to pound. An idea was taking shape. She didn’t give voice to it, but let its traceries unfurl, following them and searching for defects, anticipating what the arguments would be against it. Could it be this simple? Taylor offers the perfect blend of quirky humor and sad beauty. The only other author I know who is able to manage such a balance is Tamora Pierce with her Tortall series. Other memorable characters: Akiva’s sister Liraz is an uncrackable warrior with so many chimaera death tallies on her hands that her arms look like black sleeves. The White Wolf, leader of the chimaera rebellion, is full of plying charm and an unnerving love of killing. Again, I could go on. Taylor’s handling of the crossover between Eretz and Earth, between fiery angels, demon-like chimaera and humans, is also applaud-worthy. She takes a very basic human belief, and asks us to re-evaluate it: Angels are good, and demons are bad, right? Then who do we support when the war between the two invades our daily lives on Earth? Should Liraz be punished because of the chimaera she’s killed or be honored? Should Karou’s surrogate father Brimstone die because he has scary horns? Taylor reminds us that all of our preconceptions started from a whisper, a rumor, a story. This idea that basic human beliefs are all relative appears much more in Dreams of Gods and Monsters. As Taylor rewrites Eretz’s history and consequently Earth’s history, the feeling that “nothing makes sense anymore” is just present enough to tip the reader off balance. It was not a happy ending, but a happy middle— at last, after so many fraught beginnings. Most of the time, ending with a beginning just leaves fans totally pissed off. But Taylor wraps up her initial plot neatly and leaves us with the knowledge of a satisfying future ordeal. Because she reassures readers that each character has a renewed purpose, we are content to end in this intersection. After all, if you survive reading all three books, you’ve also survived a war, a rebellion, and a prophecy with these characters. So when Taylor asks us to let these beloved fictional people go, we trust in their ability to attack the endless future possibilities. It’s An End, not The End. If Taylor ever decides to write a fourth book, I’m 100% positive that she’ll create an epic journey filled with renewed vigor. She has set up more than enough material to explore. But if she doesn’t, that’s fine too. Though I’m accustomed to getting my happy endings like everybody else is, I sit here wholly satisfied and deeply touched. Jukebox: “The Great Gig in the Sky” by Pink Floyd has a complex backstory: the song started out as just an instrumental track. Then Alan Parsons brought in singer Clare Torry to layer her voice over the instrumentals. At first, she had a tough time understanding what the band wanted, but once it was suggested she think of herself as an instrument, magic happened. The moment when Torry begins singing is like an awakening, and Sea of Hooks has many of those moments. This novel is an experiment. Can a story of a boy rise up out of the ashes of messed up dreams, one-liner revelations, and familiar metaphors? Can we understand a person through pieces and snippets randomly dispersed throughout the pages of this book, or do our minds only function and analyze in a neat, chronological order where everything is spelled out for us? So one can see from those heavy questions above why it took me about two months to finish the novel. It was a not a comfortable read: lots of backtracking and scratching of the head. The entire novel is written in paragraphs, each with a title. Some have continuity, some are impossible to understand as anything but a stranger’s memory. But even though the entire novel is split up into messy stream-of-consciousness paragraphs, they are all connected as one larger story. Hooked together, one might say. Despite the eventual tying together of all the paragraph’s topics, the novel’s fractured structure, among other things, ultimately prevents it from working as a cohesive entity. The traditional plot (yes, it’s there, if barely) is also boringly dramatic: alcoholic father + OCD/depressed mother = messed up childhood for Christopher, the main character. These characteristics are important and effective in a lot of other esteemed literature, but all I see in this set-up is the desire to make characters interesting by making them severely messed up. I know when a character is well-designed because I care about her/him/it (Barney, Arya Stark, Nick Fury). Sadly, I don’t really care about Christopher, or his parents. It’s an easy line to cross, balancing genuine characters and keeping readers interested. 2. The second train of thought, with paragraphs titled “The City of Messengers,” also deals with the inner workings of Christopher’s mind. As a boy, Christopher has a habit of collecting random trash: crumpled receipts, keys, and anything else he finds on the street. He collects these “messengers” because he believes that each object is contributing to a larger message. The problem is, Christopher never completely finds out what it is. Though this specific train of thought is very vague, I see Hill’s point: Christopher sees meaning in everything. Apparently he is an amazing bridge player and bond trader because of this unique “sight.” That’s why the novel had to be written in this bizarre paragraph fashion: the all-encompassing message that Christopher is always looking for is the same as Lindsay Hill’s goal in writing this book: every paragraph is a messenger with an individual message. All Hill hopes for is the possibility that his sea of messengers will give the reader one great big message at the end. Well, I finished the book, and I don’t know what the message is. Maybe I didn’t read carefully enough. Or maybe Lindsay Hill hasn’t figured it out either. Many of the things were unremarkable, but mixed among them, many fine things shone, many very fine things, things very valuable and rare. 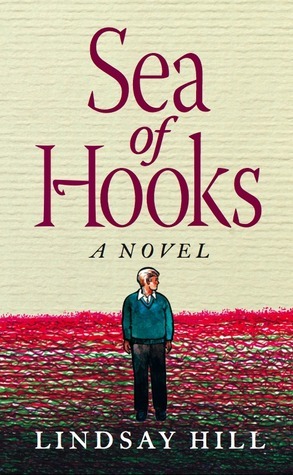 Sea of Hooks may not be a masterpiece, but the amount of abstract thinking in this novel is at least convincing. Maybe time will help bring Lindsay Hill and Christopher’s musings together. Rating: 6 – okay, but it could be better: would recommend with qualifiers; many inconsistencies that raise my eyebrows. How do you write the life story of an invisible woman? Usually the most I read about people’s lives is casual Wikipedia surfing. Unless I’m in historian mode, biography does not float my boat. So why did I read The Invisible Woman? Because I saw that it got made into a movie and Ralph Fiennes is in it (duh, it’s Voldemort with a beard, THAT’s why). I haven’t watched the movie yet. After reading the plot summary, I decided that I would make an exception for Charles Dickens’ mistress and read her life story instead of going straight for the well-made period drama. I did not know Charles Dickens had a mistress. That’s really why I started reading (and the truth is out). But don’t shy away from the word “mistress,” because this book is not racy entertainment. This book is not a love story. This book isn’t even the “sad life of a girl manipulated to believe her body is her only value” sob story. This book is an attempt to salvage the parts of Nelly Ternan’s life that weren’t deliberately erased by her, her family, and Dickens. Claire Tomalin is a detective historian, first and foremost. I am kind of in awe of all the research she did, and the way she stitched all of her information together to make a coherent picture of a woman’s entire life. Tomalin had a huge puzzle on her hands, with this woman of whom there is no record of but who was apparently the longtime companion of one of the greatest writers of all time. Who was Nelly Ternan and why was she kept a secret? Well, Tomalin did an awesome job answering both questions. If anything can be said about this book, it’s that Tomalin was very, very thorough. The first three chapters aren’t even about Nelly; instead Tomalin goes back a couple generations and introduces us to Nelly’s grandmother and her life as an actress. At first I was a little put off by the long background of theatre life and hardship, as well as the lists of all the places Nelly’s grandmother performed. But then Nelly comes into the picture as a little girl in the middle of Chapter 3 and I realize how much of her childhood was onstage. In fact, she was acting it up in London until she met Dickens at 18. So yeah, those first chapters, however boring, are important. When Tomalin finally gets to Nelly, it’s funny how I didn’t see the punchline coming. Nelly is the invisible woman, therefore she was made to be untraceable, and therefore there’s practically no record of her. No letters from her to Dickens, no pictures of her with Dickens, no diary, no nothing. So what does Tomalin do? How can she write the life story of an invisible woman? She writes around Nelly. She writes about her two sisters, her mother, her friends, the places Nelly travels, where she lives. Now the long acting history comes in; a lot can be gleaned from knowing someone’s profession. Most of all, she writes about Dickens. Gradually, Tomalin builds the outline of Nelly’s life, in the hopes that one day that outline will become a fully fleshed-out woman. Here, try this: Tomalin is Giuseppe and Nelly is her Pinocchio. So, was Tomalin successful? Did Pinocchio become a real boy (er, girl)? Yes, I think she did. Even with all the meticulous research, Tomalin understandably had to fill in a lot of holes with her own imagination. But Tomalin’s imagination was very well prepared to bridge the gap and assume things that we’ll probably never know (for example, whether Nelly ever had a child by Dickens. Tomalin says yes, while most others say no). But most of the time, Tomalin’s narrative voice was restrained and carefully unbiased. So we’re back to the beginning, where I wonder if biographies are really worth it if the writing never gets me emotionally attached to a character. Certainly Nelly represents a lot of historical significance, as she was proof of Dickens’ hypocrisy and the rest of London society at the time. I am certainly more informed. I think Tomalin’s intent in writing this biography will save me then. The last chunk of the book occurs after Dickens’ death. Nelly marries and lives a totally normal life. 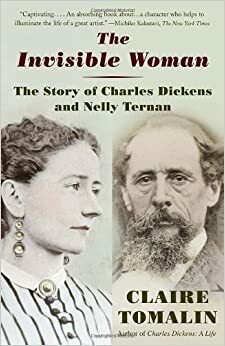 The fact that Tomalin strove to paint a complete picture of Nelly, and not just focus on the blaring, destructive relationship with Dickens tells me why this biography was worth reading. ~Tomalin also did a great job explaining Charles Dickens. Knowing that she’s also written a biography on Dickens makes more sense. He was so fearful of separating his public and private life that Tomalin claims he literally died of exhaustion from all the traveling he had to do between his office, Nelly, and his family. It was nice to get a clear and concise understanding of the beloved author who stressed clean-cut, good/bad characters in his own novels but struggled with his own morality on the inside. ~The power of public image, my friends: Claire Tomalin attributes Nelly’s disappearance from written record to Dickens’ public relations people. ~Dickens isn’t even one of my favorite authors; Oliver Twist was a little painful to read the first time, though I appreciate his sentence-shaping more after English class. But that doesn’t mean his vibrant, conflicted life isn’t worth knowing about. ~I said I was bored by the beginning chapters, but the ending makes up for it: Tomalin’s last chapter deals with Nelly’s impact on her son Geoffrey when her affair with Dickens is revealed to the public. The longevity of Nelly’s life was well captured, from her great-grandmother’s acting career to Geoffrey’s silence on discovering his mother’s hidden identity. Rating: 7 – good: would recommend, above average, has some problems but I can deal.